Check out Tobi's Hazel Off Shoulder Tee Ready for it all in the Black Hazel Off Shoulder Tee. 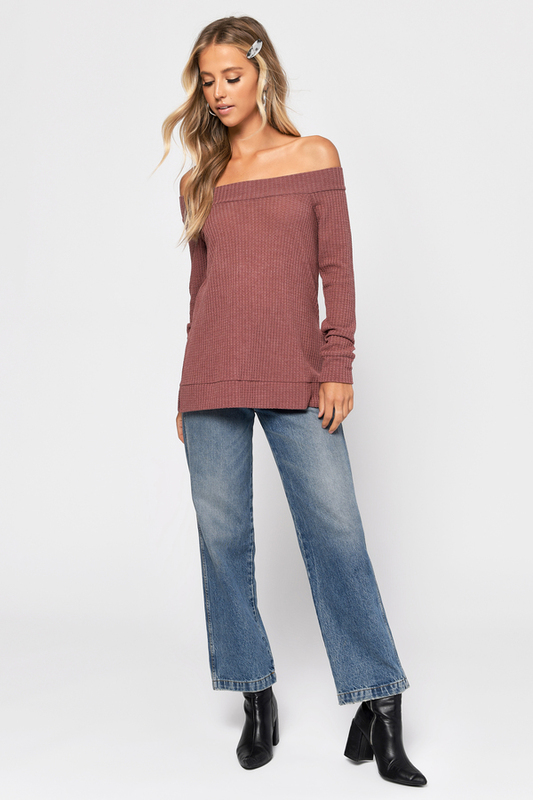 An all-weather essential to add to your basics, this basic long sleeve tunic features an off the shoulder neckline, long tight sleeves, and a special side-splitting hem. Designed with a comfy thermal material, this bardot top goes perfectly well with distressed jeans and boots. Ready for it all in the Grey Hazel Off Shoulder Tee. An all-weather essential to add to your basics, this basic long sleeve tunic features an off the shoulder neckline, long tight sleeves, and a special side-splitting hem. Designed with a comfy thermal material, this bardot top goes perfectly well with distressed jeans and boots. Ready for it all in the Wine Hazel Off Shoulder Tee. An all-weather essential to add to your basics, this basic long sleeve tunic features an off the shoulder neckline, long tight sleeves, and a special side-splitting hem. Designed with a comfy thermal material, this bardot top goes perfectly well with distressed jeans and boots. Ready for it all in the Black Hazel Off Shoulder Tee. 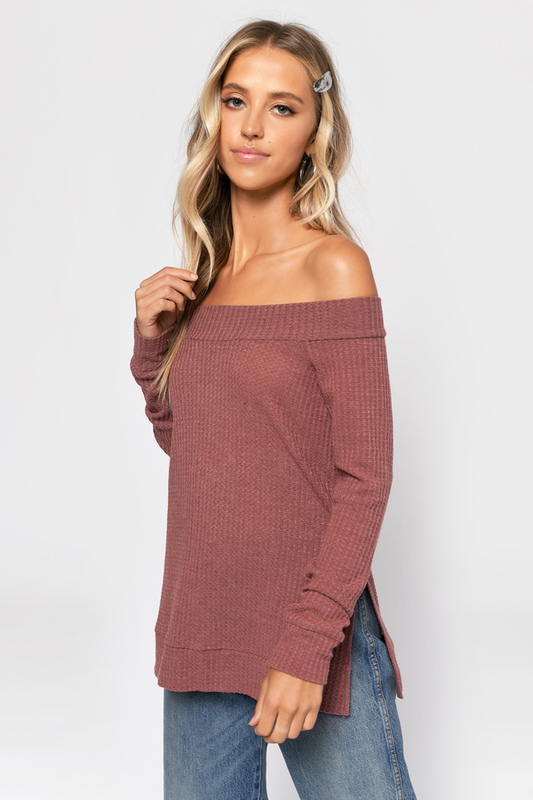 An all-weather essential to add to your basics, this basic long sleeve tunic features an off the shoulder neckline, long tight sleeves, and a special side-splitting hem. Designed with a comfy thermal material, this bardot top goes perfectly well with distressed jeans and boots.